Vinyl floors can be super versatile, stylish, and easy to install. They are also easy to maintain and clean, making your everyday lifestyle easier. Maintaining vinyl floors involves regular cleaning. We’ll take you through our guide on how to clean vinyl plank flooring. Are you having issues with your vinyl flooring? Fear not, Sun Dry Carpet Cleaning & Pest Control offers its best tips on how to clean vinyl plank flooring. Minimising dirt, abrasion, and stains will keep vinyl at its best. 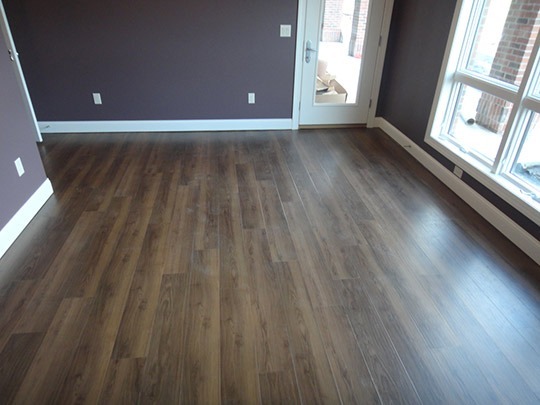 Over time, dust and dirt can degrade and wear down the finish on the vinyl floor. So, clean spills and stains as soon as they occur using water only. Firstly, dry mop or vacuum the vinyl floor to clean dust, dirt, hair, and more. Once the floor has been cleaned, wet mop with commercial cleaning agents. You can get one at the grocery store or prepare one yourself by mixing apple cider vinegar with water. Its acidity helps to remove dirt with no trace of soapy film. Mix a bucket of hot water with a cup of cider vinegar and apply to the floor using a damp mop. Rinse the mop frequently with clean water from another bucket. If you require extra cleaning power, make a cleaning agent by adding a few drops of liquid dishwashing soap to the vinegar-water mixture. This will help clean vinyl flooring that is really dirty. Sweep and mop your vinyl floor regularly. Always observe low impact cleaning and your floor will remain looking new as long as possible. Clean up any spill as soon as it occurs. Do not use heavy duty cleaners on vinyl floors. Instead, clean your floor with the mildest possible method. Avoid the use of abrasive materials on the vinyl floor. Although harsh chemicals may fix your immediate problems, over time they will ruin your floor. Also, note that some detergents are considered abrasive. Avoid them because they will harm your vinyl floor. Don’t use black soaps, abrasive powders, acetone or solvents, steam cleaners, or oil-based products on vinyl floors. Vinyl floors are easy to maintain if these tips are followed. However, there are other techniques that can be used. Contact Sun Dry Carpet Cleaning & Pest Control for expert advice and help on how to clean vinyl plank flooring.